As you know, I’m interested in (and rather fond of) dystopian literature. Some of the best being published right now is for teens. (You may remember my previous blog on this, which you can read here, if you’ve forgotten it.) 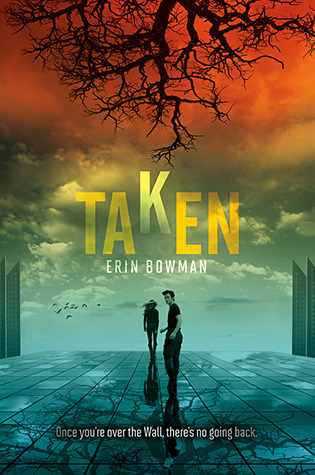 Erin Bowman is a writer of YA fiction. 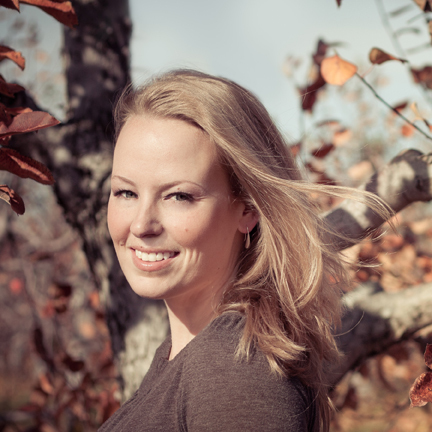 Her debut novel Taken will be published by HarperTeen on April 16th, 2013. Here’s a quick description: There are no men in Claysoot. There are boys—but every one of them vanishes at midnight on his eighteenth birthday. The ground shakes, the wind howls, a blinding light descends…and he’s gone. It sounds intriguing. 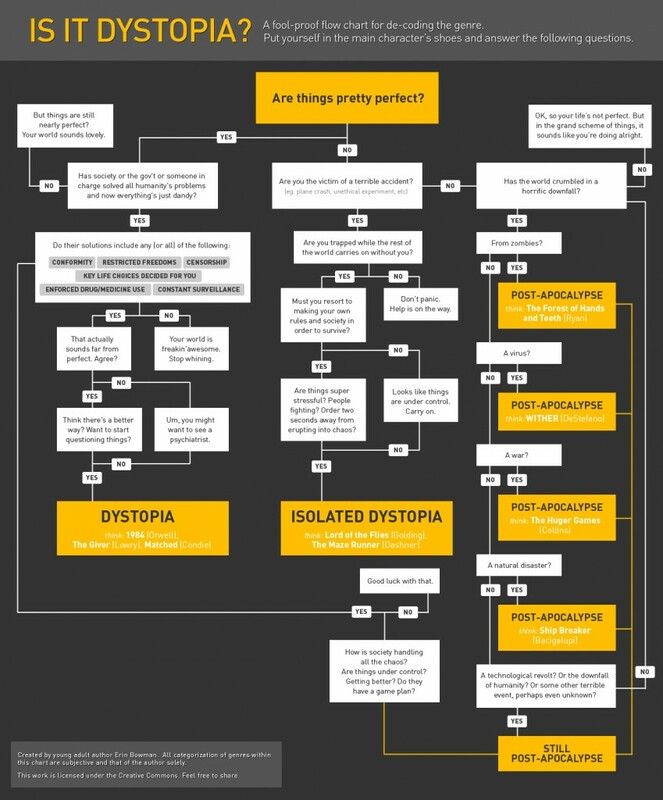 I found her website through another of my favorite blogs, Password Incorrect, who copied her flowchart of how to decode a dystopian novel. Personally, I believe that a true dystopia, at it’s core, has a lot to do with the main character discovering a fatal flaw in their otherwise perfect society. This means that at a book’s opening, the MC is usually blind to the injustices of their world. As readers we often see red flags off the bat, but the story becomes a journey, with the character moving from satisfied, to suspicious, to conflicted, and finally….click here to read the rest. Love the flow chart! And I love the deeper definition, which does help us figure out the difference. Thanks for sharing.